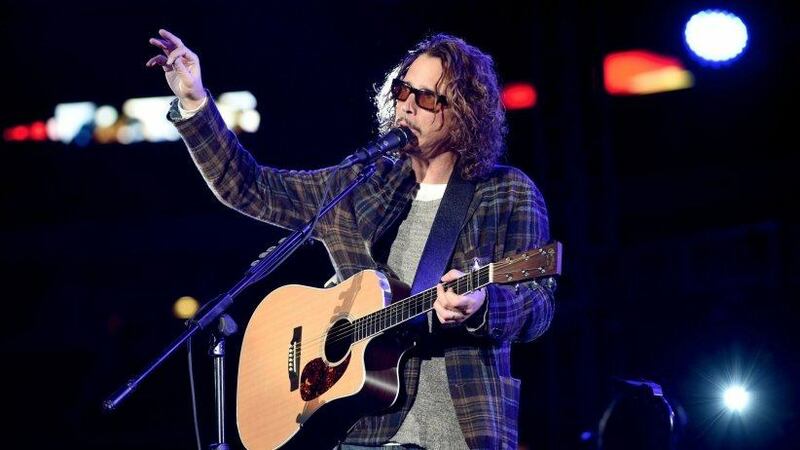 Since college, I've been a fan of the alt-rock band Soundgarden and its lead singer Chris Cornell. By all accounts Cornell was a rich, mega-successful rock star and creative artist with a loving family and millions of adoring fans. Then he killed himself earlier this year. While no one knows all the factors that pushed this music icon toward that action, we do know that fame and wealth did not keep him from that fatal decision. Here are some facts that we rarely discuss in self-help, motivational, business-focused writings. Success can cause crippling stress. Wealth often creates more worry and problems than it solves. Achievement fosters comparison with others, which blunts the joy of accomplishment. The accumulation of money feeds the increasing need for more rather than feeding contentment. Fear of losing what you've earned can squelch the drivers of your dream such as risk-taking, innovation and ambition. Each of these outcomes tends to be the rule rather than the exception. The quote "It's not personal, it's just business" is more than a cliché - it serves as a cautionary warning to a soul-crushing reality. Business can be impersonal, grasping and selfish. Some of the most miserable, unhappy, unfulfilled and petty individuals I've ever known were "successful" millionaires who lacked inner peace. Don't get me wrong, success is not necessarily bad but it's certainly not a panacea that tames your inner demons. As entrepreneurs, business owners and leaders many of us focus on the pursuit of riches, success and an "exit strategy" at the expense of external purpose and inner peace. Here are three important concepts worth considering for anyone seeking to nurture inner peace as they identify their purpose in life. Belief and hope are the stock and trade of entrepreneurs. They may have to spend years believing in and sacrificing for a vision that's not a tangible reality. While the flexing of that faith muscle is applauded and encouraged when it's applied to business, faith is frequently met with eye rolls and heavy sighs when discussed in terms of religion and spirituality. Despite criticisms against religion, every major faith tradition in the world has core principles and values that can serve as an anchoring ethos for entrepreneurs and leaders. The fashionable embrace of "situational ethics" regarding business, erodes the foundational truth that any sustainable business relies on relationships. Generally speaking, faith and religious practices can sensitize a seeking heart to elevate the needs of others above our own. That aspiration is at the core of relationships, which is at the core of business. Recognizing that there's no higher purpose than serving others is a critical first step toward inner peace. Our economy and business climate requires consumer consumption; however, as a nation we tend to engage in conspicuous consumption in the extreme. Bigger. Better. Faster. We want more of everything and believe we deserve it. Reckless and rampant consumption is most apparent in the amount and frequency of the food we buy and eat. According to the U.S. Department of Health and Human Services, more than 1-in-3 Americans is obese. We tend to deny ourselves nothing, especially when we're hungry. However, the age old idea of fasting embraces denial of self through the denial of food. The belief holds that protracted or intermittent hunger helps sharpen focus, detox the body, feed the spirit while sensitizing the fasting individual to the needs of others. There are several excellent books on the subject that go into great detail. A physician should always be consulted, but we could all benefit from regularly skipping a meal or two. If for no other reason, fasting will help you appreciate that we have more in this country than 95 percent of the world. Gratitude is an ultimate good that we should individually nourish in our post-modern era. Isolation breeds despair, loneliness and depression. If you doubt that, than why is solitary confinement the pinnacle of non-lethal punishment across the globe? We are social creatures. We need the interaction, comradery and fellowship of others as much as we need food. Recent research shows that participating in a community -- specifically a religious fellowship of any sort -- reduces the mortality rate of middle age individuals by half and reduces stress compared to non-adherents. Whether it's a weekly yoga group, church, mosque or synagogue, engage with a fellowship group beyond your work to help extend and enrich your life. The truth is - you are not successful if the only riches in your life are measured in dollars. A much better measure is the positive impact we have on others as well as ourselves - faith, fasting and fellowship can help in that regard. None of us have all the answers -- Cornell certainly didn't -- but focusing on others instead of ourselves ensures we won't have to ponder the questions of life all alone.